Every day we experienced something interesting, women whipping off their blouses in the middle of the dept trying on other blouses. There were 42 windows in the building. We tried to make the goods look different and exciting. 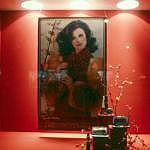 The displays we did in the store and the kind of window designs that we did had to be very sophisticated, interesting, exciting different eye-catching. As a teenager coming down to Portage Ave. and to the Bay or Eaton's downtown was the place to be. To meet a whole bunch of people from all over the city; it was a central hub and there was a lot of excitement. There was a hustle and bustle and running into people and just an activity level that was second to none in Winnipeg. The feeling on the street of the avenue was quite different… it was popular it was heavily populated. People worked downtown. There were a lot of offices. 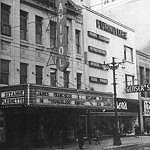 There were so many small stores on Portage Ave, specialty stores, shoe stores, jewellery stores, theatres, several theatres that have disappeared. It was alive. 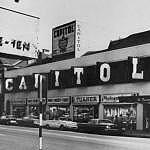 I remember the Capitol theatre. You had to go through the Portage entrance and there was a long ramp with red carpeting: all around you was gold guilt very plush. Made you feel pretty nice to go in there. 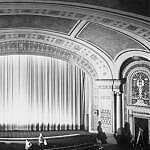 The Capitol theatre is where I saw Gone With the Wind. Of course the Capitol Theatre is gone. There were greater days when Portage Ave. literally was the centre of commerce: and there were restaurants up and down the street. One of the memories I had was going to the Childs Rest. The building it was in was on the ground floor. It became known as the Childs building. Child's, it was the major restaurant in Winnipeg. You could spend a week at Child's restaurant and see everyone in business in Winnipeg. There was the old Mardi Grass restaurant that supposedly was the first gay restaurant in Winnipeg. Moore's Restaurant was where I remember taking my first date. During lunch hours the guys would go outside especially in the summertime and lean up against the walls and watch the parade go by. I'm talking about the girls, that parade. It was a popular pastime.